Located in Van Nuys, California, the law firm of Immigration Law Offices, LLP, provides legal representation to individuals throughout the Los Angeles area who need a lawyer’s help with matters involving immigration and naturalization law. 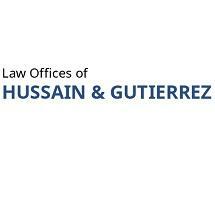 Our law firm's attorney, Fakhrudeen Hussain, has an in depth understanding of immigration matters that others in Los Angeles County may not. This is because he is an immigrant himself. As a result of his experience in securing a green card and becoming a citizen of the United States, he understands what his clients have to lose if they are not successful — as well as all they can gain. We take a personalized approach in the legal representation we provide, with all of our clients working directly with our lawyer. Because we understand the importance clients place on being well informed about their case, we take the time to walk those who hire us through the immigration process, answering their questions as they arise and always getting back to them in a prompt manner. In addition to English, we also provide services in Spanish, Sinhala, Tamil, Hindi, Gujarati and Urdu. At the law firm of Immigration Law Offices, LLP, we understand that immigration and naturalization matters can have an impact on other areas of the law as well. Accordingly, in addition to helping individuals navigate the immigration system, we also help immigrants charged with crimes and individuals who are seeking assistance with workers’ compensation claims. Contact us to learn about how we may help you, too.